It will take a club record offer to land free agent righthander Yu Darvish, and the Twins are very aware of that. But as they continue to look at Darvish as a top priority this offseason, the biggest concern is not just the money, it's the length of the contract that will be required to land him. To be clear, there has been no indications that Darvish has received a contract offer from the Twins or any team. Darvish himself shot down a Twitter report on Thursday that claimed he signed with the Cubs, calling it, "fake news." 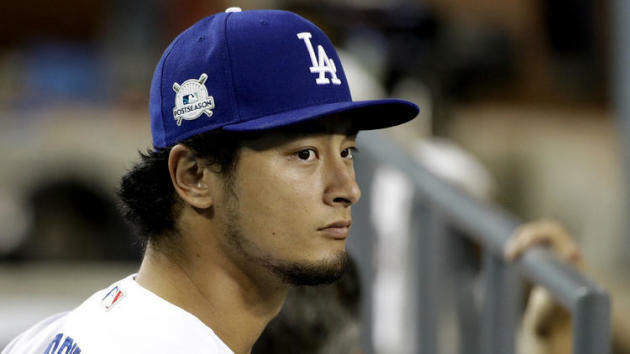 The Cubs, Astros and Rangers have expressed interest in Darvish, with the Dodgers and Yankees possibly in the mix as well. The Twins have not visited Darvish, like the Cubs and Astros have, but hope to get a meeting with him. The Twins have never signed a pitcher for longer than a four year contract. But the top pitchers in the game -- Clayton Kershaw, Stephen Strasburg, Max Scherzer, Zack Greinke, Felix Hernandez, Justin Verlander and others -- have inked six- or seven- year deals. How many years does the 31-year old Darvish want? Four? Five? Six? Many of those big, lengthy deals look bad once the player begins to decline during the second half of the contract. It's reasonable for a club to try to stay away from such deals. Then again, if you are a team thinking that your window of opportunity is opening, it's hard to resist when all the cool kids at school are doing it. As the Twins continue their pursuit of Darvish, they will discover how many years it will take to land Darvish. And that will be the point where we will find out how serious they are about landing the top free agent on the market and how serious they are about moving the program forward. The Twins officially announced their training staff Friday. Assistant trainer Tony Leo was promoted to head athletic trainer, and Masamichi Abe and Matt Biancuzzo were hired as assistants. Perry Castellano remains strength and conditioning coach, and Erik Beiser will be the assistant.